New Company Offers Breakthrough Pre-Departure Fitness Programs for Active Travelers. Save the African Mountain Gorillas, One Excercise at a Time. Thomson Safaris Offers Free Fitness Training for Kilimanjaro Trekkers. Free fitness training for those hoping to climb Mt. Kilimanjaro - resistance, endurance training. Putting one foot in front of the other may sound like a cinch, but hikers know that walking trails requires more than just toned quadriceps and glutes. It also requires balance and coordination. These assets not only help hikers tick off miles, cross streams, and hop between boulders, they also stave off injury by stabilizing joints and preventing falls... Read this article written by Kate Siber published in the March/April, 2011 issue of AMC Outdoors. 100 Brilliant Companies: Entrepreneur's annual look at the brightest ideas, the hottest industries and the most insightful innovators. Fit for Trips is listed as one of ten game-changers in the health space. 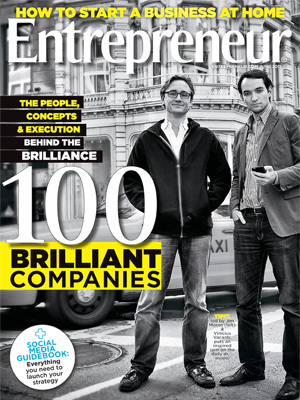 Read more in the June, 2011 issue of Entrepreneur Magazine. You know you need to step up your training before your next big trip, but you're not exactly sure how? You're not alone. Fortunately, a growing number of trainers have answers. Marcus Shapiro, an Atlanta trainer, founded Fit for Trips in 2009 and now works with outfitters like Abercrombie & Kent to design training plans specifically for adventures... 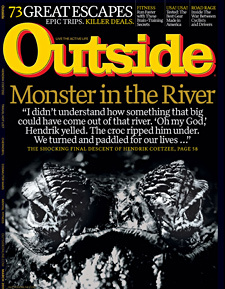 This article is written by Kate Siber and published in the March, 2011 issue of Outside Magazine. In the June/July 2010 issue of Men's Journal: Fit for Trips gets a plug in the Mind&Body section titled "Boot Camp for Your Big Trip" written by Christopher Percy Collier. Read here on page 81. In a perfect world everyone would be physically fit before participating in an adventure travel trip. But many travelers still ask “How do I get fit for my trip?” That’s why I’ve invited adventure travel fitness specialist, Marcus Shapiro, to speak with us about creating comprehensive, yet easy-to-follow pre-departure fitness programs for those of us who want to be in the optimal physical condition possible so we can make the most of our trips. Call in and join the conversation! Wish I'd known about Marcus BEFORE my walk with The Wayfarers last month!